Anyone who has seen my face recently will know that I have a nice little beard coming along – it’s finally getting to the length though, particularly on the sides where it needs to be tapered down so that most of the hair is on and around my jaw line. I could attempt to do this using a pair of scissors and a comb but given my lack of dexterity the chances of me cocking it up stand at about 99.99%. With that in mind, a beard trimmer is a must and as my creaking Braun trimmer came to the end of it’s life I had to go out and buy another. With this in mind I thought I’d share some tips on choosing the right beard trimmer for you. First things first, research, research, research. Without this you could end up with a right lemon or worse, cripple your bank account and end up with a lemon. My first port of call was the Beardoholic website and it was a great place to start. A good trimmer is a must have for those who can cultivate facial foliage. My main concerns/need were price, it had to be a brand I trusted, it had to have a charge level indicator and varying trimming speeds. Should the trimmer have a cord? What features do you want the trimmer to have? Consider the battery power. How long does the battery last before you need to recharge? What is the battery’s lifespan? Quality of the trimmer’s blades. The better the blade, the better cut. How well do the blades cut stray hairs? Is the trimmer comfortable to hold? Is the trimmer easy to use? If you like having a beard, ensure your beard is well-kept - always. There is a difference between a messy beard on your face and a clean, well-kept one. You need to keep your beard tidy. This requires care. A barber can help you, but if you are trimming once a week it soon adds up and becomes unsustainable. An electric beard trimmer is a convenient and easy device to use. A quality beard trimmer will cut unsightly beard hairs. You should never use hair trimmers as beard trimmers. Keep the two types of trimmers for their specific uses. Beard trimmers use custom blades. These razors come with an extra guard to trim beard hair to create clean cuts. The distance between the trimmer blades determine beard hair length. Beard trimmers have higher precision. It can cut hard to reach places like above the lips or chin. Make a rational decision when choosing a razor. 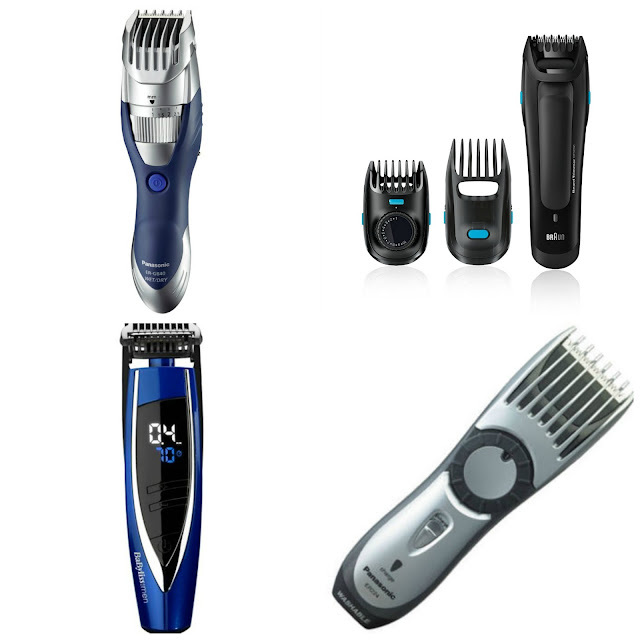 Choose a trimmer based on practicality. A rechargeable clipper for efficiency sake. Similarly, buy a trimmer that allows guards or has an adjustable trimmer head. This will give a degree of versatility. Get a clipper with detachable cutting heads so you can clean your blades easily. Ask your barber for guidance - If you're on good terms with your local barber, consider hitting him or her up for a technique tutorial on how best to use your new kit at home. Learn from their mistakes and you would be surprised how many barbers are happy to provide practical advice and assistance if you just ask. Pay Extra for a Trimmer If Needed - It's worth paying extra for a trimmer with an additional specialized mini blade for fine detail work around the moustache and under the lips. Personally I must have a trimmer that cuts the hair away from around my upper lip. Finally, an honorable mention for blade maintenance! Some trimmers do not require much maintenance. Others do. Some require only a switching of the guards; other more complex adjustments. You might need to apply oil to the blades after several uses. You must consider all of these issues when choosing a razor. Keep an eye out for the review of my new beard trimmer, coming soon! One gift I received rather unexpectedly for Valentine's Day was a bottle of Jo Malone Oud & Bergamot Cologne, cheers wife. It's the first bottle of Jo Malone fragrance that has entered into my collection and I had high hopes as many friends have for years sworn blind that fragrances from this brand are to die for. Throw into the mix the fact that the 100ml bottle costs an eye-watering £112 and you kind of hope, no, expect it to reach and breach some high, very high expectations. First impressions are that this is a very dry fragrance on the nose - it's instantly spicy, which is something I found weird, yet it's so unique and addictive you can't help but fall immediately in love with it. The bergamot and orange are exquisite and stay evident for as long as the cologne lasts on the skin. That dry sensation gives way a touch after around thirty minutes and then it becomes much more earthy - you cold get the feeling that you are in the middle of a wood in chopping season - wow! The cedarwood takes some of the shine off the citrus and warmth of the top notes giving this much much more of a manly scent. It then takes around another fifteen minutes before it evolves fully to the final fragrance. Hints of bergamot and the sharpness of orange accord blended perfectly with woodsy notes that provide depth to what could have been a very light fragrance. Sounds great doesn't it? Well, yes it is, and in terms of expectations for the fragrance I was blown away, but it isn't all good. Five to six sprays give coverage that remains noticeable to you and those around you (people will say they love it) for about five to six hours at most. I would have expected more, especially when forking out so much for the bottle in the first place. As a comparison, Man Rose by Etro costs around the same, has the same type of note construction yet lasts for double the time. Both are amazing fragrances but you have to give it to the fragrance that delivers on value for money. I'd recommend this to blokes who are looking for something maybe for a night out rather than something hard-wearing to last all day and then maybe into the evening. It's recommended as it is so unique and such a gorgeous scent, but I just wish it was longer lasting and then for me it would be the highest possible recommendation. At £112 you kinda want something that goes on and on and on. Sort that (and maybe the price) Jo Malone peeps and I'll be first in line to buy another bottle. The footwear from Chatham has for a couple of years been expanding my horizons. First they got me wearing brown boots rather than black biker boots 24-7. After that they moved on and had me donning loafers onto my feet, something I had sworn I would never do! Both pieces of footwear were exceptionally comfortable, have been long lasting and mean I now frequently vary from wearing a wardrobe that looks like it has been chosen by a fourteen year old goth. So when I was asked if I would like to try the Gladstone Ankle Boot from the Chatham Made in Britain range I of course said yes. That was now nearly six months ago, I'm sure these arrived in November and slipped onto my feet they were. No breaking them in (stupid me)! As you can see from the images above, the boots are a comfy fit and go brilliantly with darker blue jeans. Personally I like these boots to knock around in during the day either at work or when out and about on errands. With the boot on I find it really noticeable how light they are on my feet in comparison to my biker boots - this makes walking much easier and the sole has something of a spring in the step. Around the ankle the boot does provide a great level of support. These boots cost £149. I've been wearing them a lot and as you can see from the pictures, they don't scuff or get damaged very easily and I can see them lasting for years and years. The stitching is solid and these boots give off an air of quality you rarely see nowadays. Like my biker boots, these are now firm favourites for when I want to mix up my wardrobe and my footwear. The Secret Scent Box isn't a new one on me, I received their box back in September 2016 and given my obsession with aftershaves I just couldn't pass up the chance to try their offering for April. So, a subscription aftershave box that always has me intrigued with what will arrive and what I'll make of the three sample scents dropping through my letterbox. For just £15 you receive a box through the post that contains three different fragrances - aftershave and cologne if you choose the male box and perfumes if you choose the female box. With the samples comes handy note cards for each fragrance. As always, I use these cards to sit back and imagine how the notes will combine, how long it will take to dry down and what the underlying notes will smell like for the rest of the day. In my first box I received three aftershaves that I hadn’t smelt before, in this second one it contain one that I own a bottle of and two that I had been dying to try. Given my extensive aftershave collection (it isn't normal to have over 50 bottles at any one time I know) it would be foolish of me not to expect some crossover between what I already have and the service. So what is in the April Secret Scent Box? I've reviewed The Dreamer before on the blog - you can read my full review here. I managed to pick up a bottle for just £20 and it stands as one of my best beauty buys since I started writing this blog. Its a lovely fragrance, and as I've said before, it has depth and warmth but the fragrance almost evolves through a series of stages. The ambered lily and iris blend with the juniper after around an hour to make this less fruity on the nose and actually it’s like a mild floral explosion for around thirty minutes until it moves into the dry down. The amber and tobacco flower provide an excellent base that compliments the tarragon and lily to make this well worth a look. First impressions literally are "wow" - this has a strength that defies how light it actually is on the nose. It's instant spice at first that fades gently into a slightly heavier floral earthy note. It's almost as if the vetiver is battling the heart notes to keep this smelling masculine. As it starts to progress through the heart it gets lighter and lighter on the nose as the sweetness from the tonka bean and vanilla give hints of sweetness that linger on the nose and remain evident to those around you for hour after hour. I expected something of a teenage fragrance when looking through the notes but actually it's so incredibly refined. This would make an excellent aftershave for daywear or nights out on the town. It's unique, I really can't say "it reminds me of......" because it doesn't, and that's rare nowadays. After five hours of being on it finally settled and stayed evident to me and those around me for another eight hours. It's got legs people, it has legs. I have something of a hate hate relationship with Diesel. I tried Zero Plus a number of years back and it left me gagging and feeling nasueaous. With that in mind I had low expectations that were blown away by OTBT (I'm lazy, sue me). The sweetness that comes from the red apple is so amazing and fills the room with just two to three sprays. It's apple all the way for the first five minutes, in fact the orange doesn't even become noticeable at all until the heart notes start to take the edge of the sweet apple. The apple blends with the orange and pepper to give a spiced blend that still stays light on the nose. At this point it became almost addictive, I just couldn't stopped sniffing this on my wrist. The dry down notes thankfully don't take anything away from this fragrance. I feared that the tobacco and woods would make it too warm and heavy but alas those fears were unfounded. It remains so subtle on the skin for well over ten hours making this again perfect for daywear or nights out on the town. Even after fully drying down the head notes of apple remain and that sweetness makes this another top notch fragrance. It's balanced out my expeirences with Diesel and I never thought that was going to happen. The April Secret Scent Box has opened my eyes on two fronts. I now must try Wow by Joop and my hatred of Diesel has been put in a box, with OTBT firmly on my 'next to buy' list. My box popped through the letterbox just a few days ago and once again I feel compelled to write about the contents and share my experience of this cracking service. For £15 a month you receive 27ml of fragrance, three 9ml testers with atomisers that should, with frugal use keep you going for a whole month. I'll confess, the The Timeless Truth Glacial Snow Algae & Hyaluronic Acid Bio Cellulose Mask (£7.90 from Timeless Truth) has been sat in my box to try for absolutely ages. 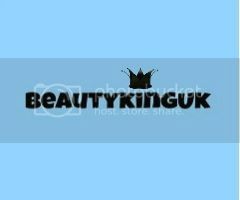 It is the latest addition to their award-winning range of bio-cellulose sheet masks. It combines the innovative ingredient of Glacial Snow Algae with Hyaluronic Acid. Snow Algae is a very hardy plant found on the glaciers and compact snow in Switzerland. The extreme conditions that this ingredient endures gives it an amazing properties that can help actively help protect the youthfulness of the skin. This was muchly needed in my case after a few days in the sunshine. The light but creamy serum is absorbed quickly by the skin, thereby helping to plump out fine lines and wrinkles. Snow Algae extract simultaneously boosts collagen production and even helps to rebuild the structure of the network that is damaged. Snow Algae simultaneously boosts collagen production and even helps to rebuild the structure of the network that is damaged. It is both preventative and corrective in action. Hyaluronic Acid is non-toxic acid that serves as the most important space filling substance in the human body. It holds water in the skin to keep collagen hydrated and provides a youthful look. Hyaluronic Acid has moisturising capabilities on skin’s structure and is very important in controlling tissue hydration. Despite being tucked away in a box for months when I peeled open the mask I was pleasantly surprised by the sheer amount of serum still there - I had visions of a dry sheet being peeled out. Being so damp made unwrapping and applying to my face an absolute breeze - no faffing. Once it was smoothed over my face it stayed without any messing around, no slips and when wearing it, it is incredibly refreshing and soothing. I could feel the moisture soaking into my skin an after about five minutes there was a slight tingle but not the expected facial freeze! I left the mask on for the full 20 minutes. All the product had soaked into my forehead and I massaged the rest of the remaining product around my face. I did find that while wearing through I had to keep pressing it around my beard so that the serum soaked into the hair and face otherwise the mask just sat on top of my hair and that would have been a waste. My skin felt tight yet incredible afterwards but a true test to a face mask is to wait until the next day. The morning after my face felt super smooth and the lines around my eyes seemed to have reduced in size, had had the trenches on my forehead from when I frown. Top marks from me, easy to apply, get feeling skin just after and for days afterwards. You can't grumble with that. Two weeks ago I left work with a real craving for lobster (weird I know) and after badgering the other half that we should go to Burger & Lobster for dinner she agreed as she was meeting the lovely PR firm that represent John Varavatos among other brands. As she left her meeting she bounded over with a toothy grin (artistic licence) and presented me with Platinum Edition by John Varvatos, a bottle of aftershave I've been stalking over at Pinterest for what feels like an age. A 125ml bottle of Platinum Edition is available from Selfridges or Debenhams for £79, so not cheap, but with 125ml to plough your way through and the strength that comes with this means that it'll be in your collection for well over a year making that initial outlay actually rather reasonable. The notes immediately suggest a very heavy and earthy fragrance and with leather sitting in the heart I confess I didn't have high hopes of liking this at all. As a lover of light and citrus fragrances I gained a little optimism from sight of a citrus note in the hope that this would provide some much needed balance. First of all, this is strong, just a few squirts from the atomiser and the room is awash with a really sharp yet spicy aroma. Yes the bergamot is evident but the sharpness comes from the orange which feels heavy on the nose. Now that came as a massive surprise to given the freshness of Artisan Blu from John Varvatos (another lovely fragrance worth a sniff). Almost as soon as it hits the skin though this changes and the leather seems to come to the fore taking the edge of the sharp spice. As it dries down through the heart notes you can feel this getting warmer on the nose for around fifteen minutes as the incense dries and blends with the leather to create an almost middle eastern vibe on the nose - despite this, and with a good sniff you can still detect the bitter orange. I really liked this touch, and better still as it settled around forty five minutes in this really did calm down - it became much lighter. The spiciness dropped off significantly and the warmth reduced. In terms of heaviness I would put this with Fahrenheit. Despite my love of all things citrus and light this has such a unique effect on me and my skin. After applying it at 7.30 a.m. I can still pick this up on myself twelve hours later. It has received universal thumbs up when people have been accosted and asked "whatcha think to this?" once their evident shock subsided. I would say this is perfect for daywear and I for one will be smelling delightful for the coming months as I waft into work wearing this. It's unique, earthy, screams masculine and lasts for an age, and then some. Looking to treat yourself or someone special then you can't go wrong with Platinum Edition by John Varavatos. Last week Beautyqueenuk and I went out on something of a blog event overload. First up was the amazing Ecotools (there is a video of me in the make up chair doing the rounds lol) event in Soho and then onto the Etro Boutique in Mayfair for the launch of Man Rose Eau de Parfum. To be blunt, after smelling this the other half fell instantly in love with it and while it took me about thirty minutes to really appreciate all of the notes I did find a whole host of other aftershaves from the Etro range but that's for another day. Today is all about Man Rose, a bottle of which will set you back around £105 for 100ml. The boutique itself stocks super luxury goods and this sits in the higher end of aftershaves in my collection. Sometimes a large price tag doesn't guarantee a lovely long lasting fragrance but in this case nothing could be further from the truth. From the notes I would expect a very spicy yet floral scent that has a depth that would keep it on the skin and noticeable for about eight hours. What I actually found was that it starts off with something of a spicy blast but only for a few seconds and immediately the rose and geranium are right at the fore. It becomes incredibly floral I think for around fifteen minutes and it gets really quite warm on the nose. After around half an hour this comes into it's own - the floral notes fade back and become really subtle. That takes some of the edge off and the vetiver and amber keep the warmth going. It's a beautiful blend of floral with a masculine base. Without the amber and woods this would have been too feminine for my taste but actually the blend is spot on. Yes, it has a larger than usual price tag but actually when you consider that it is so potent you'll still be able to smell it on yourself about fifteen hours later then you have a cologne/aftershave that really delivers bang for it's buck. I can see this lasting for months as only a few sprays are needed. Perfect for daywear or nights on the town it's a fragrance for any time of the day and oozes class.